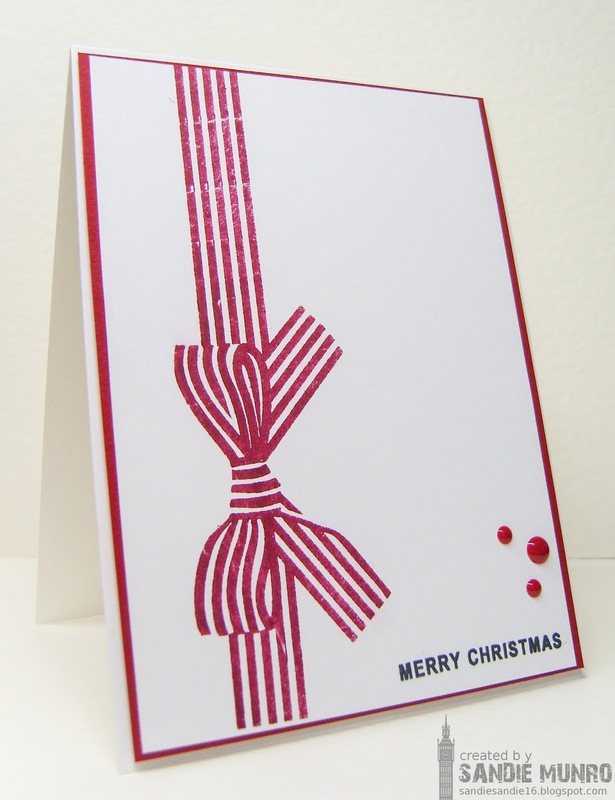 As soon as I saw the sketch I couldn't get this bow stamp out of my head and yesterday I finally got down to making this card. I think it fits the sketch in a really CAS way and I do love that! A perfect CAS Christmas card. Love it! Great idea and very original! LOVE this, Sandie! The perfect stamp for this layout and it really feels Christmassy. This is fantastic. So festive and CAS at the same time. 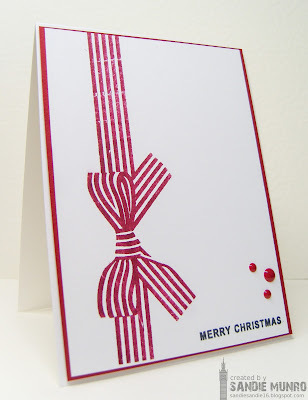 I so love this bow stamp and it works brilliantly with the sketch! Do you know how much I love that bow? Now why haven't I tied one on lately?!! LOve this, Sandie... thanks for letting us worm our way into your creative mind! Clever. Clever Awesome take on the sketch Sandie!